We intend using the collective potency of educational and training institutions, theatres, producers and agencies to make the performing arts inclusive for all, reduce morbidity, promote mental health and well being and remove the pervasive, culturally constructed stigma that surrounds issues of mental health. The Charter has been written by Angie Peake who is a mental health nurse and counsellor with MTA and outlines actions that we can take in order to make mental health and wellbeing a priority and to improve the day-to-day lives of those in the performing arts. 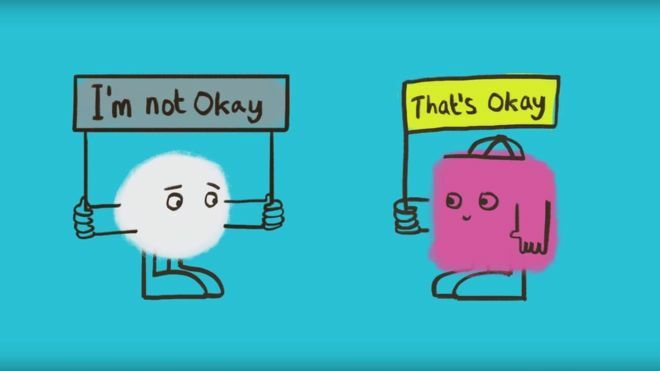 We want to actively encourage people to discuss issues of mental health and well-being and also to access high quality help and support when it is necessary. By signing the charter you are committing to promoting robust mental health policies and protocols that will contribute to positive mental health and ensure that your organisation is transparent and operates within an anti-discriminatory paradigm to remove the stigma of mental illness and psychological distress. Commit to delivering an annual presentation, addressing issues Mental Health and Wellbeing. Ideally, this should take place elsewhere in the programme rather than during Fresher’s Week. The sessions should address issues of mental health and wellbeing, health maintenance, building resilience, recognising signs and symptoms of mental distress and illness and what to do if difficulties and concerns arise. How to raise concerns about others. It should also reference local and national resources and how these can be accessed. Provide annual peer assessment of another organisation and feedback on areas of good practice and recommendations for improvement of mental health care provision. • To provide Mental Health support networks within the locality to all visiting companies e.g. Include contact details for local Mental Health crisis intervention team, General Practitioner with a specialist interest in mental health, Buddhist centre providing mindfulness and meditation, national organisations such as The Samaritans and Mind contact to the general information pack (this is not an exhaustive list). To add the Charter to all contracts, and to ensure that resources for help are clearly signposted. The hope is that with our industry suddenly being ‘flooded’ with The Charter, Mental Health discussions become normalized. By highlighting symptoms and ways in which people might be currently self-medicating, people reading the Charter have the potential to recognize their own behaviours and seek help earlier. The aim is that The Charter becomes the ‘go to’ document for performers in difficulty, making help more readily accessible. It will be stored on computers as a ‘Go to’ document. We have the potential to make a real difference at the start of an illness, as opposed to attempting an intervention whilst in crises.